Where will the future of dining go? Dining out and discovering new restaurants has come along way, as technology continues to shape our everyday interactions. In the past, dining out and locating new restaurants was much simpler. Customers would discover a restaurant by walking past a storefront or by word of mouth. They would then come into the restaurant, take a look at the menu, place an order, and wait to enjoy a delicious meal. Fast forward to paying their bill, the customer is most likely not to be heard from until a possible “next time” they visit the same location. The dining industry is no stranger to market changes and paradigm shifts. Each step described above continues to evolve, continuously setting the bar higher for meeting customer expectations. For instance, the customer will most likely learn about the dining outlet from the internet. – 83% of adults use smartphones or tablets to look up restaurant locations, directions, and hours. In-store technology can vary from customer recognition upon store entry through BLE Beacons, hand held Point of Sale systems, digital loyalty programs, or even just mobile payment capabilities (i.e Apple Pay etc). 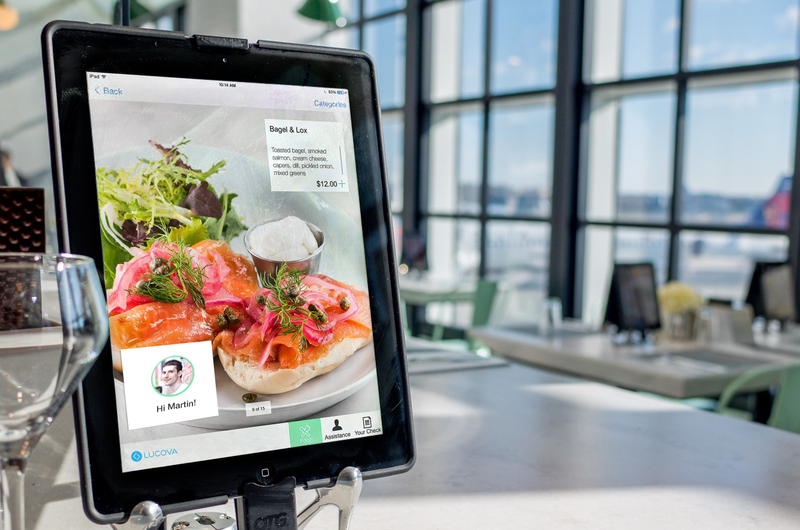 Restaurants can also use incentive Apps and services that help collect customer information, to be used in loyalty programs and promotional materials for devoted customers.Technology still has a role in the customer experience, after the meal has been finished and the customers have left the restaurant. Customers can now write a review and share it with their friends and network using social media. These days, it is as much about the food as it is about being in the right digital places at the right time. Lucova was built mobile – first for the future, interested to learn how you can become equipped for the future, Click Here.